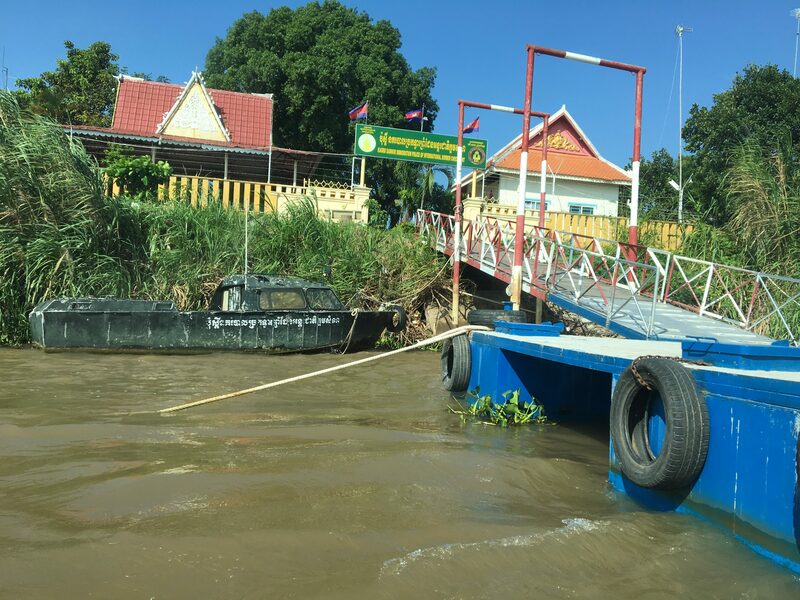 We enjoyed the 5-hour fast-boat journey along the Mekong river from Chau Doc in Vietnam to Phnom Penh, the capital city of Cambodia. The boat was clean and comfortable and the journey was smooth. 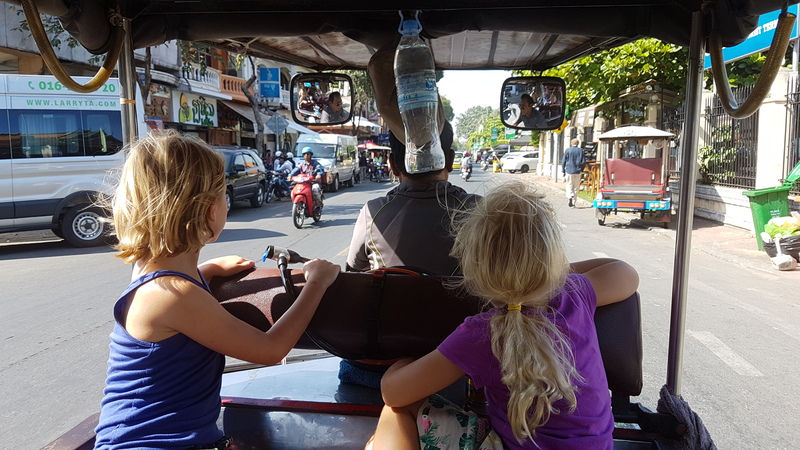 Around an hour into the journey we reached the Cambodian border, where chickens and puppies wandered around, keeping the kids entertained until we were processed by the very smiley official. He was particularly smiley when he realised he had mistaken me for James on my passport! (In my defence I do have quite short hair on my passport picture!) 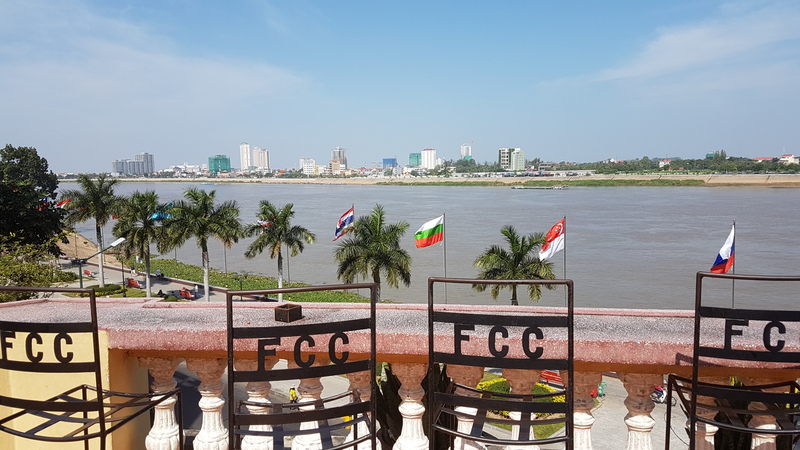 The landscape along the Mekong was more rural than we had seen in Vietnam, mostly fruit orchards and rice fields with the odd string of stilt houses over the water’s edge. As we approached the city, the shiny golden roofs of temples stood out amongst the greenery. the main tourist area and next to a busy local cafe/pub where men spilled out onto the street watching kick boxing on the TV. I personally found our first few days in Cambodia a bit overwhelming. To understand life in Cambodia you need to know a little about their history. The country has been plagued by wars throughout most of their recent history and between 1975-1979 the country was ruled by the Khmer Rouge during which time they carried out mass genocide, murdering over a quarter of their population. Corruption and conflict continued into the 1990s and as a result the country is still recovering and is very poor in comparison to its neighbours. James visited the genocide museum and killing fields alone. Although we explained a bit about it to the children we didn’t want to take them and I chose not to go. I had read about the atrocities and thoughts of what the Cambodian people have been through were weighing heavily on my mind. That being said, we enjoyed our time in Phnom Penh. We visited Wat Phnom (the first of many Cambodian temple visits!) at dusk and the children burned some energy on a huge and very busy play park opposite the temple. 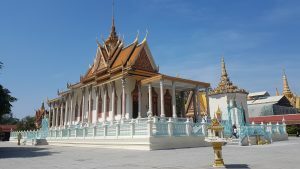 The following morning, we took a tuk tuk to the beautiful Royal Palace and the Silver Pagoda and were pleased that we decided to hire a really informative guide. The children in particular loved to see the royal wedding costumes, the coronation room and the extensive jewels in the silver pagoda. 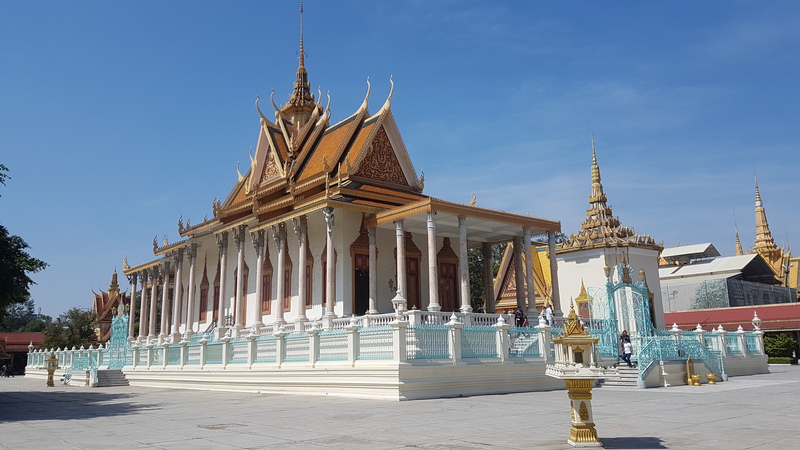 Our guide explained that during the Khmer Rouge the King fled the country but not before ensuring that all the treasure from the Silver Pagoda be well hidden, including the solid-silver floor tiles and an emerald Buddha. It was all recovered after the war. Click here to see more of our Phnom Penh photos.